Losar Tashi Delek to everyone from the Lhakar Diaries family! Today for Losar in addition to wishing all of our readers a happy, healthy and prosperous New Year, we would like to share this important call to action from our friends over at Students for a Free Tibet. Today, as Losar and Lhakar fall on the same day, we celebrate the New Year by acknowledging the ongoing resistance taking place by Tibetans across the plateau. Below is an inspiring and thoughtful statement from SFT’s Executive Director, describing the significance of Losar this year for Tibetans inside and outside Tibet, and why we should all take the Lhakar Pledge. Today is Losar, the first day of the Tibetan Lunar Year 2139. Many people describe Losar, somewhat inadequately, as the Tibetan equivalent of the western New Year. But Losar is much more than just a marker between two separate years; it is a day steeped in religious rituals and spiritual symbolism. Losar for Tibetans is like several holidays wrapped into one; it delights children and adults alike, reunites families and renews friendships, reminding us of who we are as a people, and as a nation. This Losar, however, will be a quiet one. From Lhasa to Lithang, Golok to Dharamsala, and Ngaba to New York, there will be no fireworks, no merrymaking, no exchange of gifts. For this is no ordinary time. In the past year, 22 Tibetans have set themselves on fire in the most pure and powerful expression of defiance to Chinese rule. The self-immolations in Tibet have shocked the world and galvanized the Tibet movement. Just last week, Dhamchoe Sangpo and Nangdrol self-immolated. Their demands were clear: freedom for Tibet and the return of the Dalai Lama. In an expression of national grief, Tibetans everywhere are foregoing festivities today to salute those who have given their lives for freedom this past year. Though we are aware that grief alone does not bring about revolutionary change, there is something undeniably powerful about this collective mourning because it is an act that we Tibetans control, a phenomenon that the Chinese government cannot stop. In many parts of Tibet, Chinese authorities have been paying Tibetan families to celebrate Losar. In a perverse attempt to create a picture of normalcy, the authorities have been almost begging Tibetans to “have a good time” on Losar. Tibetans, by canceling the festivities and taking control over their own lives, are seizing power away from the state through this widespread act of civil disobedience. Deciding how to mark Losar is perhaps the most poignant expression of the Tibetan people’s growing cultural and social sovereignty, the foundation upon which political freedom can be built. Our collective grief and spiritual reflection this Losar is an act of resilience, of defiance, and ultimately, of hope. As we pay tribute to those who have selflessly offered their lives to advance our cause, let us remember what they died for, and recommit ourselves to the goal of a free Tibet. 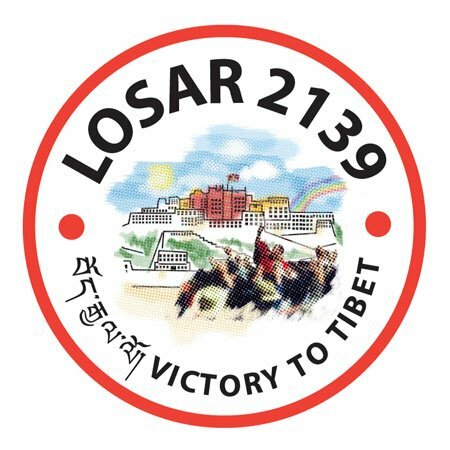 This Losar, we urge you to honor the Tibetan heroes of 2138 by taking a pledge of resistance for Tibet. Here are some examples of the pledges Tibetans and our supporters are making today:- I pledge to update my MP or Congressperson every week about Tibet. I pledge to boycott Made-in-China products. I pledge to recruit a new member to the Tibetan Freedom Movement every month. I pledge to join a Tibet rally or vigil at least once a month. I pledge to join Rangzen Circle to sustain SFT’s work for Tibetan freedom: http://studentsforafreetibet.org/rangzencircle. To make your pledge, please visit: www.Lhakar.org/pledge. Here you can read more about how Tibetans are exercising control over their social and cultural lives and building a vibrant self-reliance, non-cooperation movement that is starting to shake the very foundations of China’s colonial rule in Tibet. May the Tibetan Water Dragon Year 2139 bring us closer to a free and independent Tibet. Bho Gyalo. Victory to Tibet.